As well as several fruit trees and an herb garden. 1. What are my favorite vegetables? I could eat tons of all the vegetables above. And that’s good because I am likely to end up with a ton of them. It’s important to like the vegetables and fruit you grow because even your favorite vegetables can get a little tiresome in the middle of harvest. 3. Which vegetables taste better fresh? Strawberries and tomatoes are two examples of plants that are dramatically different when you plant your own. The difference between a watery, flavorless store-bought strawberry and a sweet, juicy homegrown strawberry is shocking. You gain so much in flavor that it’s crazy not to plant them if you like them at all. 4. How well do these crops store? I try to plant things that can be frozen, canned, or dried. Tomatoes are the ultimate for this. They can be preserved dozens of ways and they maintain most of their flavor. I will still be eating from last year’s tomatoes up until I start getting fresh ones because I was able to freeze most of last year’s crop. This helps your winter food bill considerably. 5. Can these plants grow where I live? I have never been able to get lettuce or spinach to do very well here because it gets too warm too fast and the crops tend to bolt—i.e. go to seed and sprout flowers. On the other hand, peppers and cucumbers thrive where I live. So you have to take into account how well a plant will do in your areas. I’ll probably write another post on this later on. 6. What experiments do I want to try? Every year I plant something I haven’t planted before because it gets me excited about the garden. This year, it’s peanuts and chard. Gardening is supposed to be fun, after all. If you need some inspiration for your wishlist, try perusing the selection on some gardening sites. Burpee, Henry Field’s, and Gurney’s are a good start. Vegetable seeds can be broken down into two categories: hybrid and open-pollinated. Hybrid plants are a cross between two different varieties. 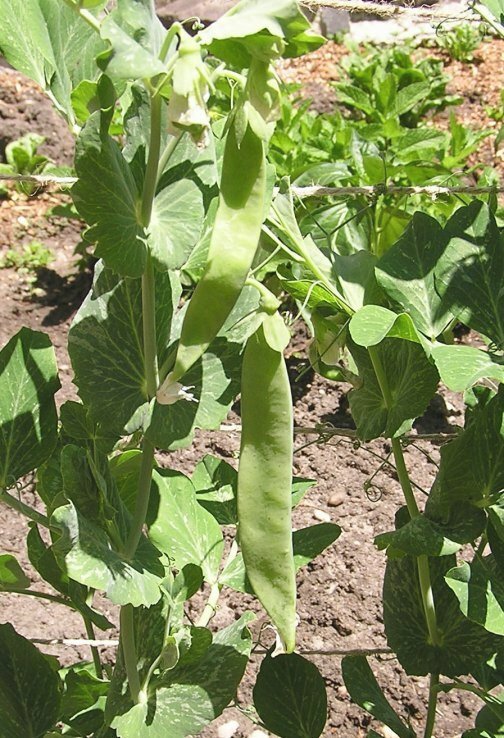 Open-pollinated or non-hybrid vegetables are not a cross between two plants, therefore, the seeds can be saved from year to year. This eliminates the need to buy seed every year and will save quite a bit of money. A good book on the subject is “Seed to Seed”. B.T.W. you’re husband’s Kentucky Wonder green beans are open-pollinated, so leave some beans on the bush at the end of the season. They will mature on the bush and the pods will start to brown and dry out. Remove the beans from the pods and thoroughly dry before storing for the next growing season. Check out http://www.gardenweb.com. There is a lot of free gardening advice on there. Also, generous gardeners share their seeds with each other through the online seed exchange. Other gardeners host garden swaps. Gardeners meet and trade seeds, plants, cuttings and other garden related items with each other. Thanks Nancy. I appreciate the tips. I am aware of Gardenweb and have mentioned it a few times on the blog. (http://www.savvyhousekeeping.com/free-plants-from-the-grocery-store/, http://www.savvyhousekeeping.com/cheap-mulch/ , and http://www.savvyhousekeeping.com/a-use-for-rotting-tomatoes/.) Maybe this year I’ll do a post on free seed sources. Stay tuned.